November 10th it is then, see you then. Spa next year is looking like a possibility! Interested in coming along to a meet & run if you'll have me - do you use M&C as a meeting spot or do you actually have some grub there and chat all things rotary? Hi and welcome! Others will be along with more official welcomes, but have you found the 'Hi, I'm new here' part of the forum? 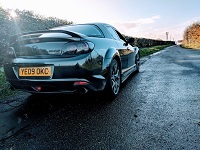 There's a excellent guide to the RX8 to be found there, very useful for new owners. Hey Fishman - nice to have you along. The meet is the 2nd Saturday of the month and always involves meeting up for a meal somewhere - venue changes from month to month but so far has generally been somewhere on the north side of Cardiff. Dependent on time of year, weather and general appetite for it, we also sometimes fit a run in as well, tho we have not managed all that many this year. Hopefully see you in Nov.
Yep, more than welcome to come along Fishman, no run this month but we have a table booked. Stew, is that a confirmation that you guys will be there too? Cheers for the warm welcome guys! Hopefully can make it along to the November meet and put some cars to some names! Errr ... are we still on for tomoz? I was considering attending until I found that out. Cardiff fc are playing at home today as well. Doubles busy! I quite often go to South Wales for work. I enjoy driving over the Ryghos mountain, just have to watch out for the sheep. Your safe , both matches are earlier and the other side of Cardiff - it won’t affect the traffic . I should have known we'd (Spurs) be playing the evening game today. Murphys Law. I'll still be there though. The wife’s arranged to go out with our friends tonight unbeknown to me. She insists she told me so I unfortunately won’t be there. 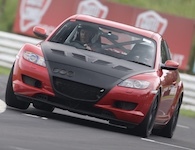 That's a shame Neil, I hope you'll make it for the Christmas meet next month. Is there still a meet this month? Would be interested in coming over if there's any interest.